Building on the heritage left by Jules Verne and the surrealist past of the city, the Utopiales, International Festival of Science-Fiction, held since the year 2000, is now part of the cultural landscape of Nantes. The festival was created with a view to giving a qualitative vision of the Future, new technology and the fantasy world to the greatest number of people. Above all, the festival aims to reach a non-specialist audience and show the public that behind dreams and evasion, science-fiction is a powerful tool to explore real life. Literature, science, cinema, cartoons, exhibitions, role games, video games and Asian cluster… For over 16 years, the Utopiales line-up built, on a multi-disciplinary approach, brings together the worlds of science and science-fiction. 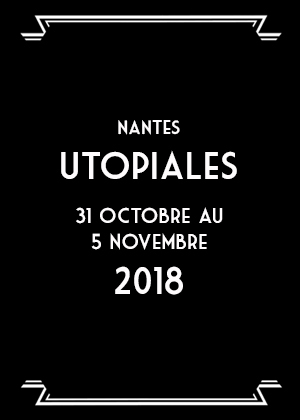 Seventeen years later, with over 500 films, 1,900 authors, artists and researchers, and around 150 exhibitions and artistic installations, Utopiales has made a name for itself among similar events in Europe and across the Atlantic. A festival you don’t want to miss ! Each year, Utopiales celebrates cultural diversity by bringing together scientists, researchers, authors, scriptwriters, artists, producers and all those who, day after day, create fabulous worlds from fragments of real life, to offer, beyond the promise of evasion, a new thought experiment that helps us reflect on the transformation of our world. The Utopiales festival invites each of us to cultivate our curiosity and imagination, make the most of this eye-opening experience and get actively involved in the future changes of the world by getting to know the new technologies that will shape tomorrow’s society.